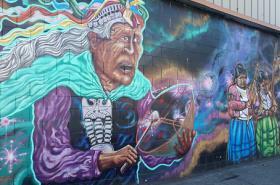 Cultural Heritage & Art: Culture and art intertwine often especially in such a diverse city like Oakland. Over 100 languages are spoken around the Town and they&apos;re represented artistically in various ways. Malonga Casquelourd Center for the Arts : Formerly known as the Alice Art Center this popular multicultural, multidisciplinary performance arts complex is one of the busiest in Oakland. It has been serving the community since the 1920s while providing a safe environment with positive roles models for Oakland. Its theater and performance venues showcase music, theatre, ballet, African and contemporary dance, and more. 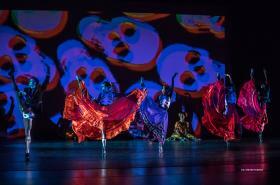 Some of the resident organizations include: LIKHA Pilipino Folk Ensemble, Dimensions Dance Theater Company, Fua Dia Congo, and the Bantaba Dance Ensemble. Visit their website to learn more about view upcoming classes. Oakland Asian Cultural Center: OACC builds vibrant communities through Asian and Pacific Islander arts and cultural programs that foster inter-generational and cross-cultural dialogue and understanding, collaboration, and social justice. 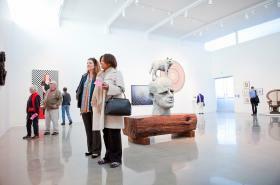 OACC is a thriving first class community arts organization in Oakland and the Bay Area that promotes cross-cultural understanding for present and future generations. 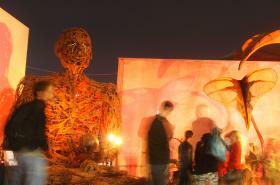 Local artists and their cultural art forms are promoted through a variety of programming and community collaborations. Their calendar of events can be found here. The Oakland Second Line Project: The Oakland Second Line Project aims to bring free quality black cultural arts community experiences to black neighborhoods of Oakland, Ca that otherwise would not traditionally have access to them. Their brand hopes to achieve leaving the black communities they work in inspired with sustainable ideas, skills, community resources, and networking system all while appreciating and supporting local black arts and artists. Learn about their upcoming events here. Congolese Dance & Drum Workshops: The Ngoma is a powerful and unique percussive voice. The Ngoma is arguably the center of African communal life, whose presence marks every significant moment in the human experience. It is more than an instrument that inspires dancers to move, it is a messenger that ushers us through rites and rituals surrounding life-changing and life-sustaining occurrences. Learn to speak the language of the Ngoma at our supportive weekly drum class. Beginning, intermediate and advanced drum students are welcome! You may borrow an Ngoma for the class at no extra charge. The Black Aesthetic Team: The Black Aesthetic is a creative organization, whose mission is to curate and assemble both a collective and distinct understanding of Black visual culture by working with artists, writers, filmmakers, and designers. They cultivate work that asks the audience to consider their relationship to Black art. 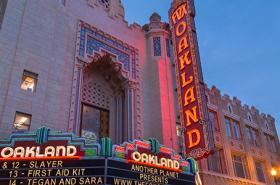 Based in Oakland, they are invested in developing a community who will participate and engage with their mission. To learn more about the Black Aesthetic Team and where to view their work check here.